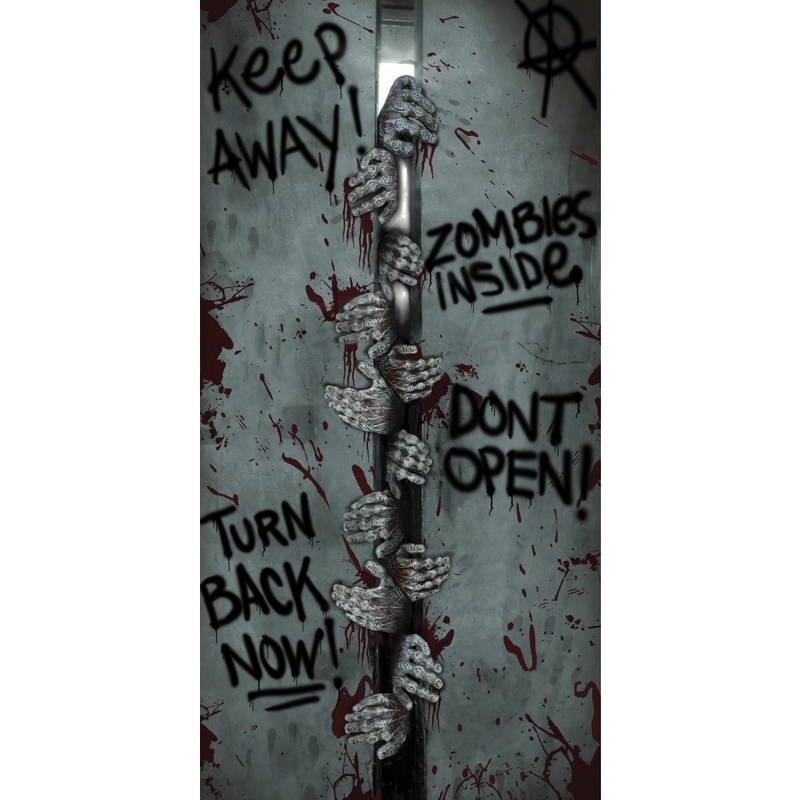 The perfect accessory for your haunted house or home display. 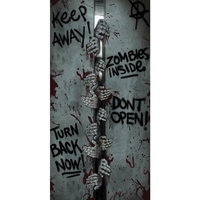 60" by 30" door cover with a look as if a bunch of zombies were trying to oen it wide enough to get in. Also has various graffitit-like sayings on it.